Steep Creek Stone Works Inc. 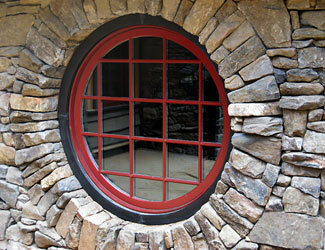 Steep Creek Stoneworks is a group of masons and project managers located in Brevard, NC. We specialize in commercial masonry and residential masonry construction. Our scope of work includes retaining walls, veneers, pathways and walkways, patios, fireplaces, chimneys and firepits. Steep Creek Stoneworks is also a premier supplier of masonry supplies and tools. From matching historical stonework to carving out new innovative drystack ideas, our work is comprised of a variety of styles using modern and old techniques. Since Steep Creeks inception almost ten years ago, our work has been featured in numerous regional publications, as well as Fine Homebuilding Magazine, and the book Getting Started with Mortared Stonework. Steep Creek is equipped with the resources to complete any size projects in a professional and safe manner. Superior craftsmanship, service and satisfaction are paramount. Taking pride in what we do, we know you will be proud of the results.